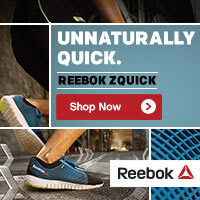 Check out the Hottest New Shoes by Reebok!! ZigCarbon Running Shoes! Born to run and ready for action, the ZigCarbon running shoes by Reebok features a responsive zig-zag sole for responsive cushioning, a full length carbon fiber plate for structured support in the midfoot, and a high abrasion rubber outsole for durability.